After one trip as a spectator and one working in media, my third appearance at Ironman 70.3 Western Sydney would be as an athlete. In 2018 it also formed the Ironman 70.3 Asia-Pacific Championship, so the fields were big and the competition was strong. It had been a long road back to my s find half distance race, something I was not going to take for granted. I had no expectations. I wasn’t running anywhere near as well as I did at Shepparton so I wasn’t about to set any records. 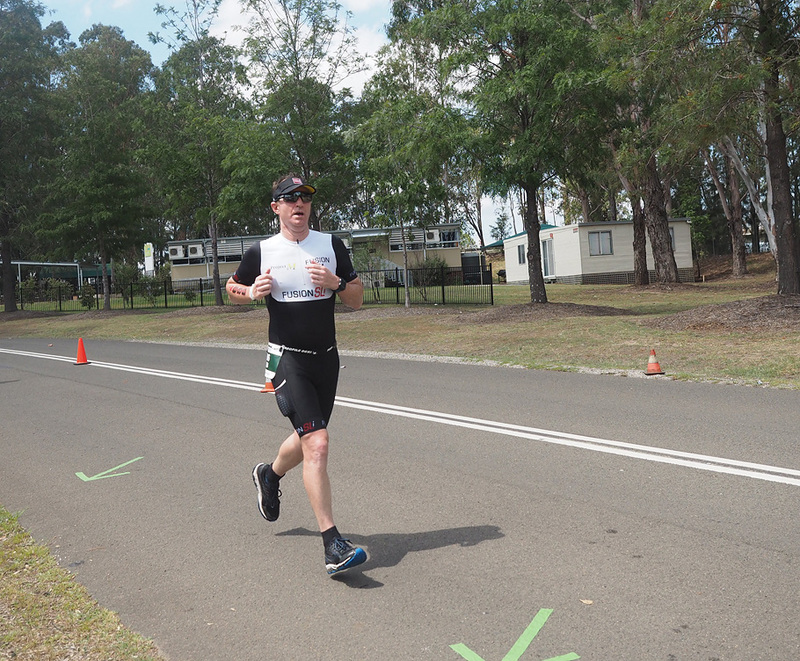 Penrith has a penchant for producing a stifling, dry heat and race day was no exception. The non-wetsuit swim felt like it dragged on for an eternity and, to be fair, my time was almost an eternity as well. 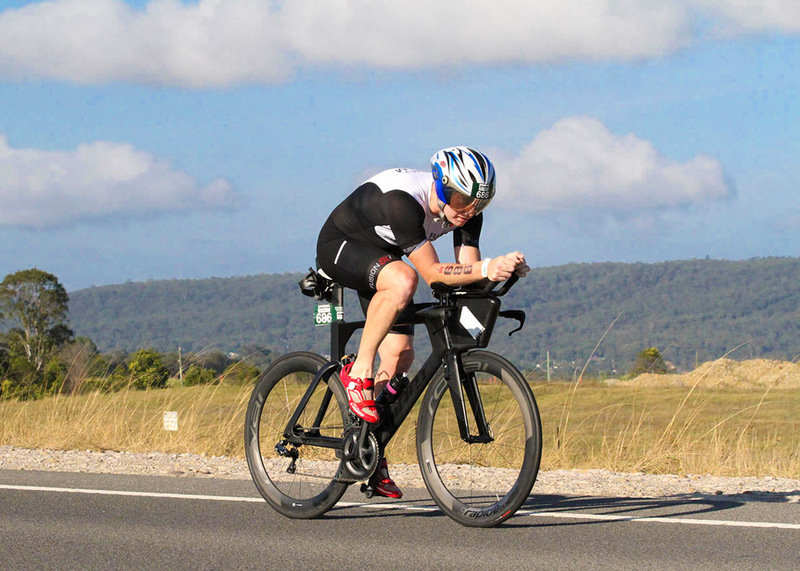 Once I got on the bike I set about quickly finding the power and heart rate targets that I wanted to ride at. Surprisingly they felt great. The ride was what I’d consider as the best I’ve put together. 90km of consistent riding at a good clip with a nice heart rate. It was a 14-minute improvement on Shepparton. The run started off reasonably and, while it was tough work, the first 8km went well. It quickly became apparent I’d overdone it on the nutrition and fluid intake toward the back end of the bike. Rather than stick to my plan, I’d probably put a little extra in, hoping it would be beneficial in the hot conditions; it was quite the opposite. I kept taking on more and more water than I usually would and felt very bloated. With 12km still to run, I started to struggle. Funnily, there was still a part of me that was saying “this is great, you need to find out what it’s like to have to battle to the line for an hour.” And battle I did. My 1:52 run was far from spectacular, particularly in that last 10km. I was bloody glad to see the finish line. Somehow it was still a half-distance PB and i finished 52nd of 120 finishers in my age-group. My swim and run were a lot slower than my debut but my bike leg had allowed me to shave three minutes off that time. I felt absolutely horrible after the race with stomach cramps. Lesson learned. The upside was that my body recovered very well, a combination of strength and mobility work had done wonders. Time to plan some races for 2018!